The Crazy Bookworm: Sophia Kinsella Giveaway! Hello my crazy friends and followers! 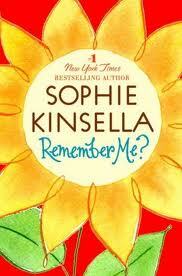 I have a copy of 'Remember Me' by Sophia Kinsella that I am giving away. 4. I'm not asking for anyone to tweet or blog about it, I want to give everyone a fair chance. Only one entry per person. 5. Giveaway ends October 23! That's it folks! Fill out the form below. Good Luck! !